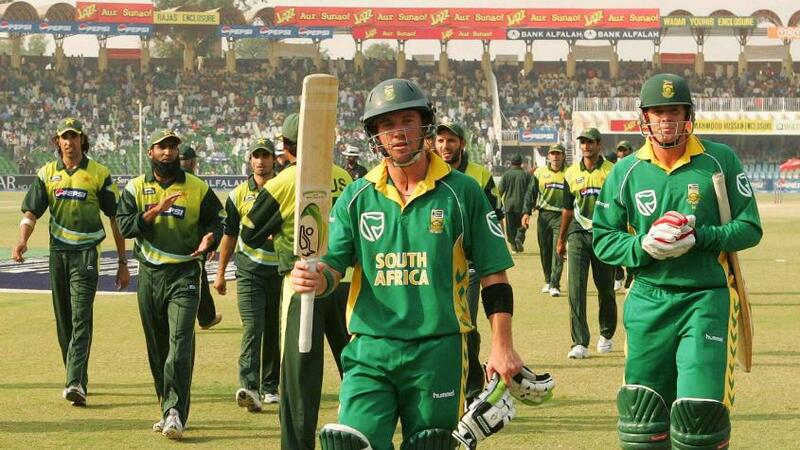 AB de Villiers, the former South Africa captain, has confirmed his decision to play at the Gaddafi Stadium during the Pakistan Super League, and feels he can do his bit to help revive cricket in Pakistan. The campaign to bring big international names to Pakistan received another boost with de Villiers, one of the most popular T20 stars, announcing that he will travel to Pakistan to represent Lahore Qalandars this PSL season. International cricket in Pakistan has been on course for revival in recent times. Notably, a three-match T20I series between an ICC World XI and Pakistan in 2017 had helped spur the resumption of top-flight cricket in the country. The Windies, Sri Lanka and Zimbabwe have all travelled to the country in recent times. Most of the PSL matches are staged in the UAE, but the Pakistan Cricket Board is pushing for more games in Pakistan. Last year the two eliminators and the final were played in Pakistan; as many as eight games of the upcoming season will be shared between the two Pakistani cities of Karachi and Lahore. De Villiers' team Lahore Qalandars are scheduled to play a couple of games in their home city, and the superstar has confirmed his willingness to travel. De Villiers was last in the country for a tour with South Africa back in 2007, and is looking forward to the experience. "I am delighted to confirm that I will represent Lahore Qalandars in front of our home crowds on 9 and 10 March, during PSL 2019," de Villiers was quoted as saying by the official league website. How excited are you to watch @ABdeVilliers17 in action for @lahoreqalandars? 🥁#KhelDeewanoKa starts February 14, 2019. Recalling his previous visit, he said, "I am fully aware that cricket is like a second religion in Pakistan. I still remember the support and appreciation we received in 2007. Furthermore, I feel I have a role to play in helping international cricket return to Pakistan. These have been some of the motivating factors for me to return to Lahore.